We looked at the best tile saw has taken us through a collection of big brand names in power tools to find the best models in each category that we look at. Choosing the best tile saw is not an easy task, because they have a range of different features and also wildly differ in price. Some of the power tools reviewed will be simply more than the average home user is going to require, but for the experienced team that remodels kitchens and bathrooms, these same tools might be just the ticket. For anyone unfamiliar with why there is a need for a separate saw simply to cut porcelain, slate or granite tiles, the answer is that the tile isn’t really cut per se; the tile saw is really grinding through the tile using a diamond blade. The tile saw itself isn’t really that sharp, unlike other saws that need to cut through lumber or steel and require extremely sharp, strong blades. In the case of a tile saw, it typically has a layer of diamonds as a coating to give it the necessary grinding ability. Sometimes tile saws are referred to as wet tile saws because they will have a cooling water reservoir that keeps the blade cool between cutting sessions. This is often needed with this specialist cutting approach, because the friction caused by the grinding process can get pretty extreme. 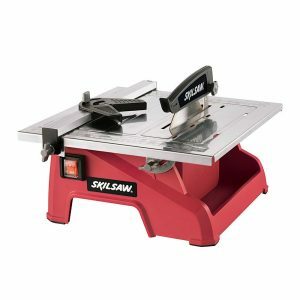 What follows is the Best Tile Saw reviews which examine and clearly outline which tile saws are the best for the money, best on a budget, and best overall when only the very best will do. This is considered by us the best tile saw on the market! The DeWalt D24000S Heavy-Duty 10-inch Wet Tile Saw with Stand is our winner in the category of Best Tile Saw. This DeWalt model is built around a cantilevering rail cart setup, which provides an excellent cutting system. 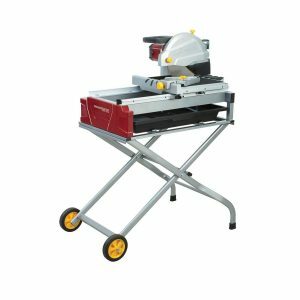 The D24000S has a 10-inch tile saw and comes with a stand (as denoted by the S in the model name; there is a similar model without a stand for people interested). The product actually comes supplied in two separate boxes; one with the D24000 tile saw and the second box contains the D24001 stand model. For home users, the assembled tile cutting tool weights only 69 pounds, which makes it easily possible for a single individual to move the wet saw to a new position and to put it out of the way under a dust cover when it is not needed. There is a miter gauge that helps the operator to angle cuts correctly without any doubts during use. It is possible to adjust the degree of angle to either 45 degrees or 22.5 degrees, which supports angled cuts. Dual water nozzles ensure that the angled cutting will go smoothly. A plunge feature makes it a simple matter to create cuts in tiles to fit them around A/C fixtures and electrical ports. The ripping capacity aka cutting length, is 24-inches when cutting straight and 18-inches when cutting diagonally. The cuts can be to a depth of 3 1/8-inch, which covers most tiles that would need to be cut. There is also an edge guide that helps to cut just the right angles for the corners. The motor that drives this cutting tool has a 1.5 horsepower motor behind it, which is more than sufficient. The stainless steel rail system ensures the blade and the motor can be managed in a way to get accurate tile cuts every time. The two water nozzles can be positioned to direct the water spray on the cutting blade to keep it cool. There is a water pump and a five-gallon pan. There is also a side and rear water attachment that can be used to catch water that doesn’t manage to go directly into the pan or sprays up after hitting the cutting blade. This reduces the amount of water spray that could hit the ground and make the area less safe. 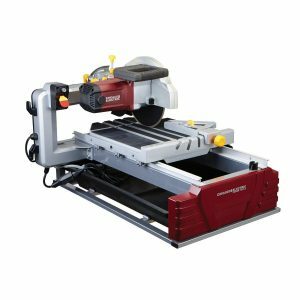 The 2.5 Horsepower 10″ Industrial Tile/Brick Saw from Chicago Electric Power Tools is a rigid tile saw cutting tool that doesn’t come with its own stand. It is our winner in the Best Tile Saw for the money category. This model actually doesn’t come with its own blade either. It is necessary for the customer to purchase their own blade separately. The manual for the product suggest that only a smooth blade will be accepted with this model, however, brick blades with openings can also fit. A diamond blade is ideal for cutting through brick tiles, pavers, concrete, stone, and other strong materials. Blades from manufacturers like DeWalt and Bosch can be fitted inside this tile saw without a problem. As a reminder, a stand is not provided with this product. For operators who feel they need one, a suitable stand can be purchased separately. This power tool is built around a strong steel frame that includes a linear bar structure for precise cutting and smooth movement. The cutting head supplied is easily adjustable, enabling this tool to not only cut tiles, but also bricks, up to a limit of 3.5-inches thick. Bevel cuts are also possible at a 45 or 22.5 degree angle. This makes this tool a useful one for builders, not just people working on remodeling projects at home. It is pleasing to know that this model has a maximum cutting capacity of 24-inches, which is completely reasonable in this category. The diagonal cutting ability is 18-inches, which is fine too. The distance between the blade guard to the rolling table beneath is 2 7/8-inches, which means it is not possible to cut standard sized wine bottles and other items with wide diameters. 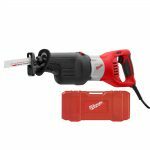 The cutting action is powered by a 15 amp, dual capacitor motor which has 2.5 horsepower, which puts it in the higher end of power capacity for tile saws (it beats out the 1.5 HP offered by the DeWalt D24000S model). The motor is an excellent one, which comes with sealed bearings for solid built quality and thermal overload protection too. A miter gauge is included with this model, helping operators measure tiles for more accurate cuts. There is also a water tub to cool the cutting blade, a spray nozzle, and a water pump to push the water out towards the cutting blade to keep it cooler during use. The SKIL 3540-02 7-Inch Wet Tile Saw is our Best Tile Saw on a budget winner. 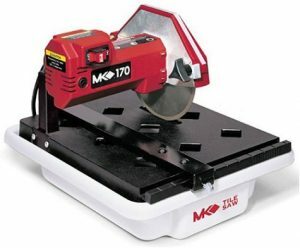 This SKIL model is a smaller 7-inch wet tile saw that is intended for home users, rather than for commercial use. The product doesn’t come with a stand. It has a stainless steel top which can be used on tiles measuring up to 12-inches by 12-inches. When removing the guides and feeding a tile through carefully by hand, it is possible to cut 12-inch by 24-inch tiles. With that said, this product is intended for use to cut smaller tiles and this should be understood by the customer before purchase. The rip fence is adjustable, but it moves in a jerky fashion that is a little unpredictable. The model has a miter gauge for better measurement of cuts to ensure they are straight. Bevel cuts can be made in tiles from 0 degrees up to a 45 degree angle. The water reservoir provides a cooling place for the blade to sit after extended use when the blade is likely to be red hot. The water is also a collector of debris that comes from the tiles having been cut through and will need to be changed regularly. The reservoir itself is pretty small, like this tile saw, and so it doesn’t have a large capacity like more expensive models. The saw sits partially inside the water reservoir to keep cooler, as there is no water pump supplied with this model. The 4.2 Amp motor is capable of 4,200 RPM. There is a 7-inch diamond blade included, which can cut through smaller tiles, including glass, granite and rock ones (it is unlikely to be successful cutting cement tiles). This SKIL model is CULus certified. The product comes with a 3 year benchtop warranty that it will be free from defects on workmanship and materials. This cover is provided only to the original purchaser and only when the product was registered with the manufacturer within 30 days of purchase. It is all too easy to make the mistake of believing that any type of commercial saw, like, for instance, a circular saw, can be used to cut tiles efficiently. The reality is that tiles are pretty tough to cut properly. The surface of them can chip, they can easily split in half without any warning, and a plan to cut a pile of tiles could end up in tears. We’ve been there and we’ve seen it. A tile saw (or a wet tile saw, as is also known) is necessary for cutting tiles that can be used in bathrooms, kitchens and other locations for flooring or adorning the walls, because it is a specialized type of cutting process. Another type of saw just won’t get the job done. Cutting, or really grinding, through a tile to cut a corner off it or slice it in half to make it fit an edge perfectly, needs a tool that is up to the task. Diamond coated blades often do the cutting, because a standard blade doesn’t always perform well, depending on the tile material being cut through. A tile saw is not something that will necessarily be used on a regular basis, yet it is an essential tool for anyone who needs to cut tiles to fit odd shaped corners and misshaped areas where tiles must be custom cut to fit the space. In this type of scenario, nothing else can do the job right other than a tile saw. A great tile saw is one that can perform the necessary task cleanly, efficiently, and safely. The first item that comes to mind with a tile saw is the diamond blade it comes with. This needs to be strong and durable. A motor should be durable and deliver enough horsepower to power through the cutting process (a strong blade that turns slowly will provide a lackluster cutting process). The length of the ripping capacity – how many inches a tile can be cut in a single process, either straight across or diagonally – differs from tile saw to tile saw. Diagonal cuts cannot be as long as straight cuts on tile saw. Whereas a straight cut might be 24-inches long, a diagonal cut will likely only be 18-inches long. Not every saw is sold with a built-in stand. Some products can be purchased with their stand or without the stand available for that model. It is up to the buyer whether they wish to look for models that come with a stand. It is possible that they wish to set the tile saw up on a workbench in their garage or workroom elsewhere on their property, rather than use it strictly for commercial purposes, in which case a workbench would be fine for occasional use, but a dedicated stand is useful to have. A water reservoir is a necessary part of a good tile saw. A water pool serves more than one function with the saw. First and foremost, it can cool down the blade after it has been used to cut through tiles for a period of time. The blade will have overheated eventually and the water pool helps to cool down the blade. Secondly, the debris from the porcelain, slate or granite tiles that have been cut, often fall neatly into the water pool when the blade is bathed in the water, which acts are a convenient self cleaning process for the operator. A tile saw will most often come with a miter gauge (all three models under review did so). This is a convenient tool to measure and angle cuts correctly. The measurements with some miter gauges can be quite fine, down to 1/10°. Miter angles can be 45° or 30°, and some will offer the 22.5° angle too. They will often use stop systems that include a pin, rack and pawl, or a ball detents mechanism. It is not so important to understand these specifics, but a miter gauge is certain good to see in any tile saw. Bear in mind that there are after-market miter gauges that are more accurate, with additional settings and options, which are not provided with a retail tile saw. These are more specialized and rarely will a home user use a tile saw often enough to need one, but a commercial user might want to consider it. The DeWalt D24000S Heavy-Duty 10-inch Wet Tile Saw with Stand is our Best Tile Saw winner. With a tile saw, the operator is looking for a tool that is capable of cutting tiles made from different materials, with a minimum of fuss. This is the case whether the tile is granite, porcelain or another equally delicate material. Tiles are used for flooring, to give the bathroom an attractive backdrop, and sometimes just to provide an easy to clean surface. Depending on the size of the area wall or floor that needs tiles cut and fitted, the operator doesn’t want to deal with many problems when using their power tools. In the case of this DeWalt model, they should have no worries in this regard. The D24000S model is a sturdy 10-inch tile saw that comes with a convenient stand, so it doesn’t need to use part of a workbench to function. It can be removed from the stand if needed (the stand is actually packaged separately when it is delivered), so it is possible to use it with its stand in workshops that have sufficient space to accommodate it, but position it on a workbench when space is at a premium at another location. The stand doesn’t come with rollers, which actually helps it stay easily in the same position without any unexpected movement. The same DeWalt tile saw model can also be purchased without the stand. The unit with the stand measures 34-inches by 24-inches and only weighs 69 pounds. It is portable enough after it has been properly assembled and can be lifted by any able-bodied person. When not in use, a dust cover would be a good idea to keep the parts in good working order. A miter gauge is provided with the D24000S model, which lets the operator make adjustments to correctly angle cuts at 45 degrees or 22.5 degrees. There are other miter gauges on the market that offer more angles and facilities, but for most operators of this power tool, this miter gauge is likely to suffice. 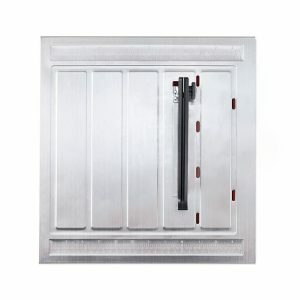 There is also a plunge feature that’s been included specifically to enable cuts to accommodate electrical ports and A/C fixtures where the tiles are to be positioned. The stainless steel rail system helps guide the operator when using this power tool. The 10-inch cutting diamond blade, which is powered by a 1.5 horsepower continuous duty H motor, made in Taiwan, has a good ripping capacity of 24-inches and also can cut diagonally over an 18-inch length too. The edge guide is present to help operators cut neatly around corners at 45-degree right angles and supports two different edge positions. Tiles can be cut to a depth of 3-1/8-inch, which is adequate for many home and commercial uses. Anything deeper than that, the operator will need to flip the tile over to cut through the other side or search for another tile saw power tool that is capable of cutting deeper in a single cutting action. A tile saw is only as good as its water supply and water reservoir. In this case, there is a powerful water pump supplied, which pushes out water through two water noddles, with adjustable positioning, to help aim the water spray directly at the cutting blade to keep it cool during the cutting process. The water spray also acts to disperse parts of the tile that are being cut away during the cutting process, with this debris usually falling neatly into the generous 5 gallon water container. There are additional rear and side accessories that can help to deflect any water spray that doesn’t initially successfully fall back into the water container. This helps to minimize the amount of water that might escape and fall to the floor near the stand. The cutting cart can be easily removed to clean it. This shouldn’t take very long, because much of the debris ends up in the water container anyway. The pan can catch excess water and it is made of ABS plastic. The water container can also be removed, emptied, cleaned and refilled, when needed. This is a good idea to prevent the water pump from clogging up with debris from the tiles that have been cut already. Assembly of this tile saw is easy enough, because it only has a few parts to put together. The stand is a fold out variety, so that’s also easy to position correctly and situate the assembled tile saw on top of it. DeWalt offer a 90 day money back guarantee, 1 year free service contract, along with a 3 year limited warranty to the original purchaser only. One aspect where this DeWalt tile saw perhaps falls down a little is in the area of cutting blades. There are some operators who like to purchase a cutting tool and then swap out the blade for a specialty cutting blade of their own. With this DeWalt model, some specialty contour blades that are capable of cutting different edges, like a bull nose one, may be too thick to fit into the space available for the blade in this model. It is a minor negative that likely won’t affect the majority of operators of this power tool. For home owners, the DeWalt D24000S Heavy-Duty 10-inch Wet Tile Saw with Stand, is a complete system for cutting tiles for an ongoing home renovation or remodeling project. It can possibly be more than is required for smaller renovations, however, it is a quality product all the way. For commercial remodeling contractors, this will be an excellent product that offers high quality tile cutting and durability. It should be noted that swapping out the cutting blade for a different type may not always fit. With that said, the supplied diamond cutting blade is excellent. The 2.5 Horsepower 10″ Industrial Tile/Brick Saw from Chicago Electric Power Tools is a wet tile saw designed with a strong frame that provides some confidence during use. The product is the winner in our Best Tile Saw for the money category. This tile saw is a little different from the DeWalt model featured, because it doesn’t come supplied with its own diamond saw blade. It is compatible with many different diamond cutting blades available from manufacturers like Bosch and DeWalt, which can cut right through stone, concrete, pavers, and also brick tiles too. Some brick blades that have openings may also fit and work acceptably with this model, but according to the model’s manual, it is only designed for use with diamond saw blades, which is typical of a tile saw. A stand is also not provided with the package, so anyone feeling the need to use a stand with this tile saw will have to purchase it separately. One of the best features of this product is the steel frame that it is built around. This ensures that the tile saw will be robust and stand the test of time. The cutting head can be adjusted in position so that it is capable of cutting through tiles and also bricks at appropriate angles. The cutting ability runs through to a maximum depth of 3.5-inches, which should be deep enough for home use and in many cases, commercial use too. Bevel cuts can also be made at either a 22.5- or 45-degree angle. There is a linear bar built into the product to help line up tiles properly for more precise cutting. The tiles, or brick tiles, can be cut up to a cutting capability of 24-inches when cutting in a straight line. With diagonal cuts, this cutting capacity is reduced to 18-inches, which is perfectly acceptable. In terms of what items can be fit inside this tile saw, there is a gap of 2 7/8-inches from the blade guard to the rolling table below, which is okay for many applications, but won’t be wide enough to fit a wine bottle for cutting. Power behind the diamond cutting blade is delivered by a 15 amp, 2.5 horsepower dual capacitor motor, which is capable of rotating a 10-inch blade at a 3,800 RPM. This is better than less powerful motors included with more expensive models like the DeWalt D24000S, also reviewed here. The motor has sealed bearings, is clearly well designed and built solidly, and also has thermal overload protection to avoid the motor overheating. A basic miter gauge comes included with this model. It isn’t a professional quality one that high-end contractors will be especially impressed with, but for home users it should still be more than adequate. Water is collected in a water tub; one of the several accessories supplied in the box. A water pump extracts water from the water tub and pushes it through the water nozzle towards the cutting blade. 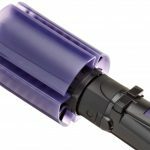 The water pump that comes with this product is not particularly strong, which means that sometimes there is less water on a tile being cut than might be desirable, but it still works acceptably for limited to medium use. It is also possible to replace the water pump with stronger one, if so desired. Overall, the system works fine, though occasionally the water pump and nozzle system needs to be cleaned to remove water blockages. It will depend on how clean the water is and what amount of tile / brick debris gets collected in the water tub as to how often these accessories need to be removed and cleaned. Replacing the water often, to get rid of the tile / brick debris from the water source, is the best idea to keep the tile saw system operational without unwanted downtime. When cutting tiles that are 12-inches or larger, there tends to more excess water being sprayed around the tile saw area than when cutting smaller sized tiles. This is not the case with the DeWalt model included in this review. It was also noticed that the supplied arm, which positions the blade and motor, can be seen to bend marginally when being putting under more pressure more due to cutting through a thicker or stronger tile. Occasionally, some purchasers discover that there are some bolts which are missing from the box upon receipt of the product. 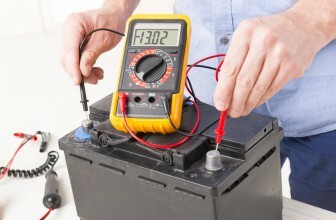 Bolts can easily purchased at a local do-it-yourself store to resolve this issue. Chicago Electric Power Tools have also been found to be responsive to customer issues when contacted directly. The 2.5 Horsepower 10″ Industrial Tile/Brick Saw from Chicago Electric Power Tools won in our Best Tile Saw for the money category, because for the most part it is a decent tile and brick saw at a fair price. It is clearly not built to the same stand as the category winner, but for the price paid it does an acceptable job. Whilst busy contractors might want to look at the DeWalt model first, home users may find this model suits their needs and their pocketbook perfectly. This tile saw is a smaller 7-inch wet tile saw model that is ideal for cutting smaller tiles in a home renovation project that is taking time to complete, but far less suitable for a commercial builder who needs a flexible, tile cutting power tool. The stainless steel top provides some durability over time. 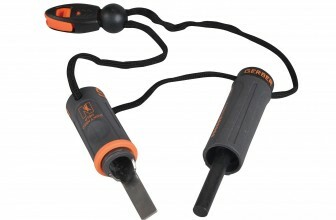 It can be used to guide the cutting of tiles that measure 12-inches by 12-inches without any difficulty. There are guides to help line up tiles correctly. It has also been shown to be possible to cut tiles measuring 12-inches by 24-inches, but the guides had to be removed and each tile fed through manually to achieve the feat. 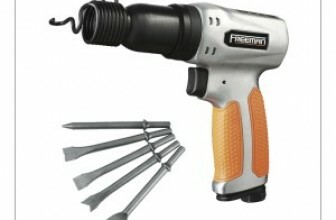 For the most part, this power tool is ideal for cutting 12 x 12 inch or smaller tiles. The rip fence that comes in the box can be positionally adjusted, but it’s a hit and miss affair. The miter gauge is better and helps to measure cuts precisely. Attractive bevel cuts can be also be lined up and applied to tiles at angles from 0 degrees right up to a 45 degree angle. There is no water pump with this tile saw. This can either be a blessing, because there is no pump to get clogged up or seen as a curse because of the worry that the cutting blade with become overheated. The blade itself partially sits in the small water reservoir to help it cool down. This seems to be effective enough for most home users who likely won’t be cutting thousands of tiles in a single morning! The little motor that could is a 4.2 Amp one that can actually push the 7-inch diamond cutting blade, included with this model, to rotate at 4,200 RPMs. Not bad. It is capable of cutting deftly through granite, rock, marble, glass and other types of tiles, though cement and brick tiles are almost certainly not on the menu. Glazed porcelain tiles for a wall may not cut well either. Floor tile cutting is the bread and butter of this tile saw product. Along with the CULus certification, this model comes with the SKIL 3 year benchtop warranty on workmanship and materials to ensure they’re free from defects. This is covered only for the original purchaser and only where the buyer has thought to register the product with the manufacturer within 30 days of purchase. Fair enough. The compact SKIL 3540-02 7-Inch Wet Tile Saw provides a lot of value for money and wins in our budget category. However, there are a number of caveats to bear in mind. In this case, price is what you pay, value is what you get. This little wet tile saw is designed to cut smaller tiles only. It is best at cutting floor tiles and less happy cutting wall tiles, though it can complete both tasks. It does come with its own diamond saw blade, but don’t expect miracles here. It is in the budget class for a reason. It lacks a water pump, a large tile cutting ability, a stand, and has a much smaller water reservoir. The rip fence isn’t easily adjustable, but it is adjustable. 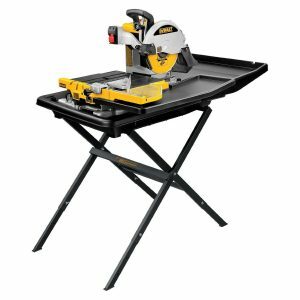 The 2.5 Horsepower 10″ Industrial Tile/Brick Saw from Chicago Electric Power Tools is clearly superior and the DeWalt model is a step above that. However, for homeowners who only wish to cut small tiles in a modest remodeling of a bathroom or kitchen, this little tile saw could be all they need. Tile saws are actually pretty compact. They can be stored outside of a main workshop area and only brought out when needing to cut through some new decorative or functional tiles. They’re also pretty tidy when it comes to the amount of debris created through the cutting process, so they can be used in areas where it is important to keep the mess down to an acceptable minimum. Whilst ideally it is helpful if a new tile saw already comes with a tile saw stand, there are separate tile saw stands, usually in 7-inch and 8-inch sizes, that will fit many types of commercially sold tile saws on the market today. Many are branded and designed to only fit a specific tile saw model, whereas others are intended as after-market products. Buying a separate stand for a tile saw that doesn’t include a stand, saves the hassle of trying to find one that fits later. Decide whether a functional water pump is a necessary part of a wet tile saw or if a water reservoir that cools the blade in a different manner is adequate. Where a considerable amount of tile cutting will be necessary, a water pump will be a good idea to have, but it does add to the components that can either go wrong or get clogged up with use. After-market miter gauges can be purchased separately for more precise measurement and angling of tile cuts, where absolute precision is called for and nothing less will do. For using a tile saw in the United States, make sure that the product is certified for the USA. Usually the product will have a cULus logo which certifies that it is approved for use in the USA and Canada. Not all products produced for the American market may be used in Canada or Europe. This review has clearly outlined three very different tile saw products. In many ways, the three products have different target markets and uses. In order to enjoy a happy purchase, it is important that the buyer knows exactly what they wish their tile saw to do and what they can live without. Some of these models are intended for advanced users, whereas at least one model is really only useful for home users. Two of the models come with their own cutting blade, but one does not and this will need to be purchased separately. Be sure to choose the appropriate tile saw for the task(s) it will be needed for in order to avoid disappointment. If you’re looking for a ceramic tile cutter instead, you can find here more information about which ceramic tile cutter to buy.